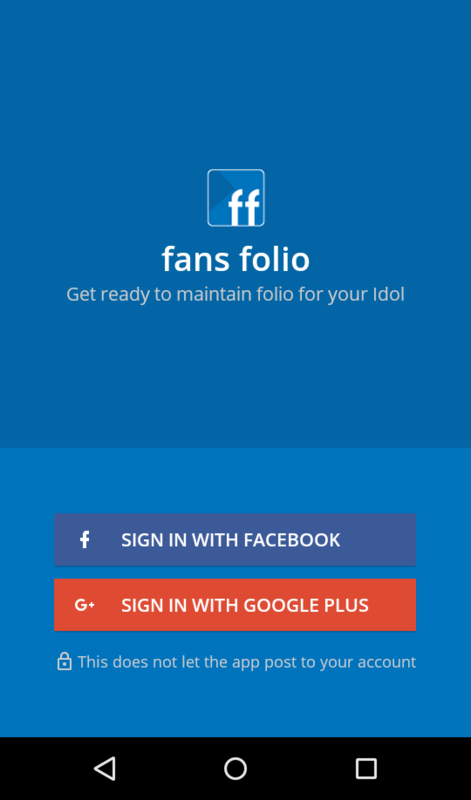 Signin into fans folio using Twitter, Google+ or Facebook. 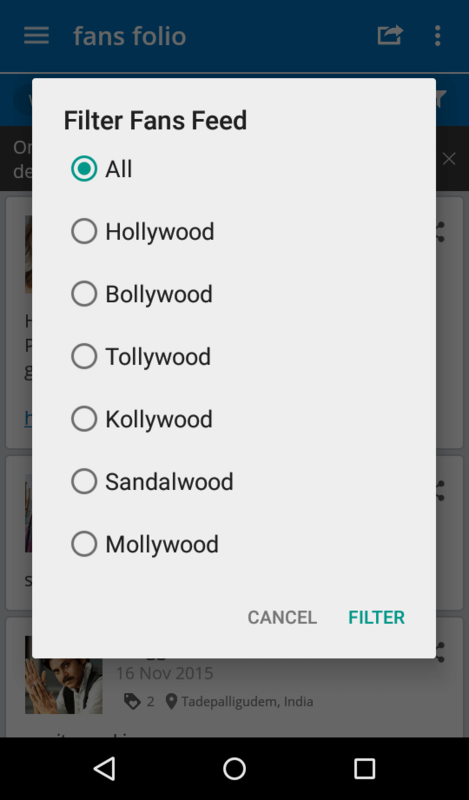 Filter fans feed according to industry(Hollywood, Bollywood, etc.,). 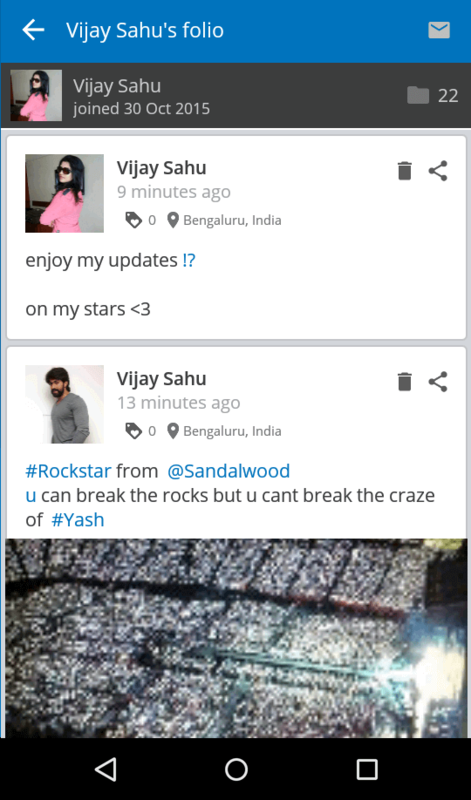 Going crazy for other star, Change your celebrity at any time. 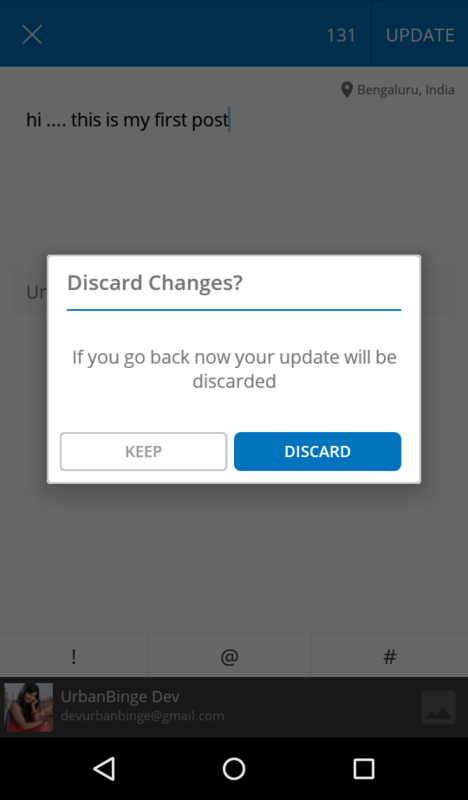 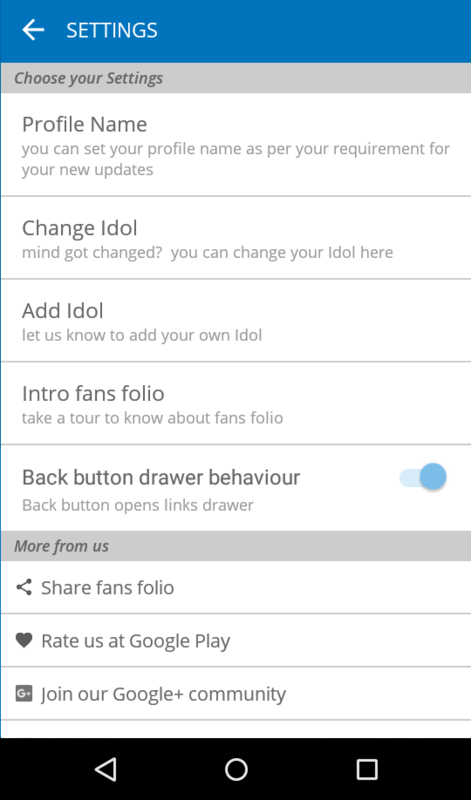 Update posts with your voice, talk and share to fans feed. 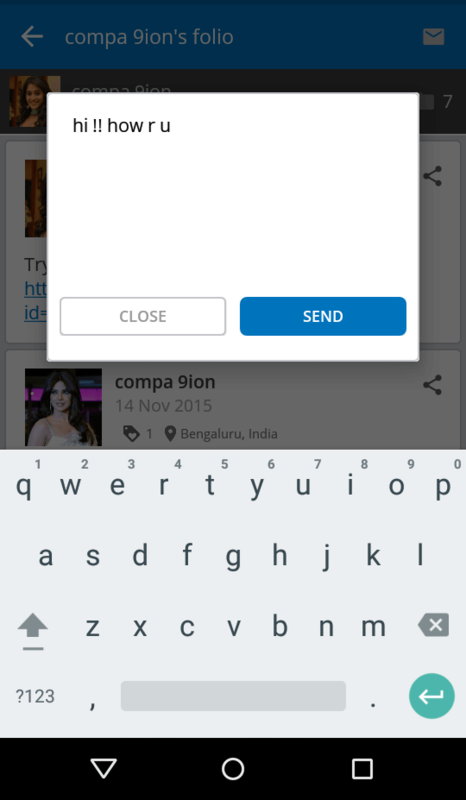 Trend the popular words using '@','#' (@alpha, #beta). 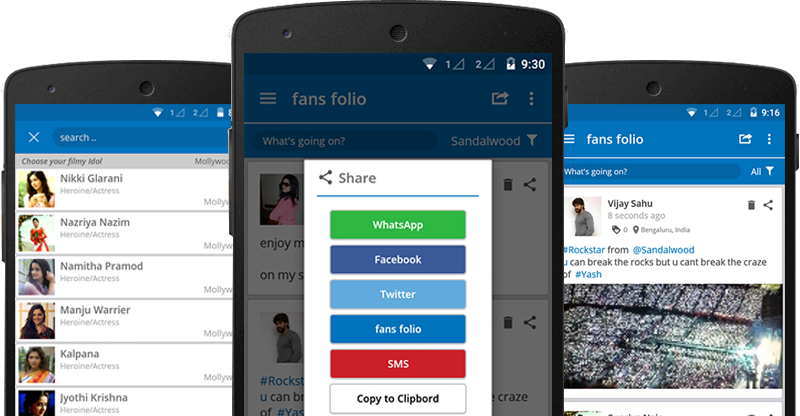 Share posts with apps like Facebook, Whatsapp, Twitter, email and SMS. 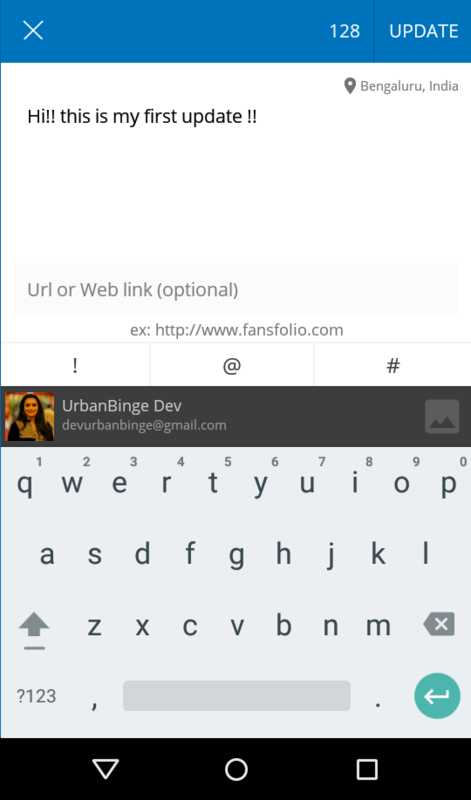 Comment on post shared by other fans in fans feed. 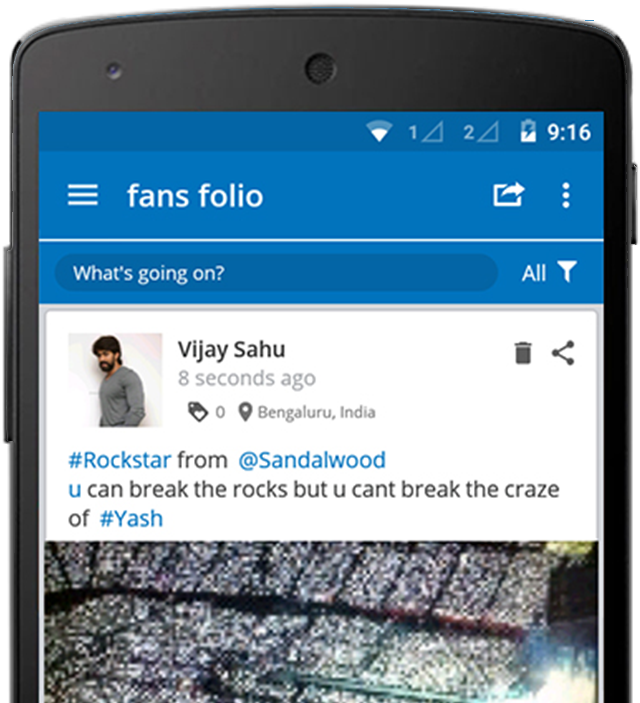 There are lot of options in fans folio, try once to know more. 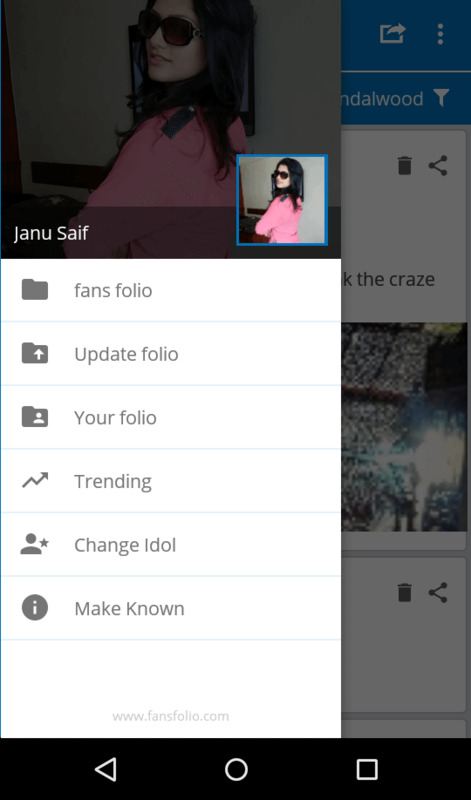 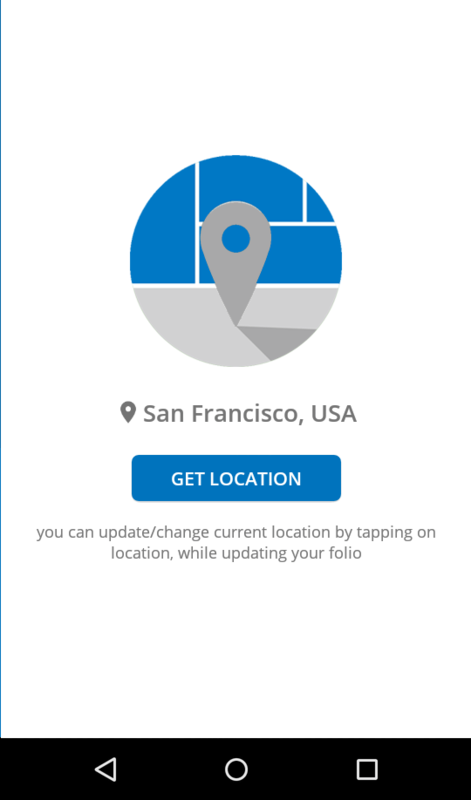 fans folio introducing 'twin', you can twin the other fans updates. 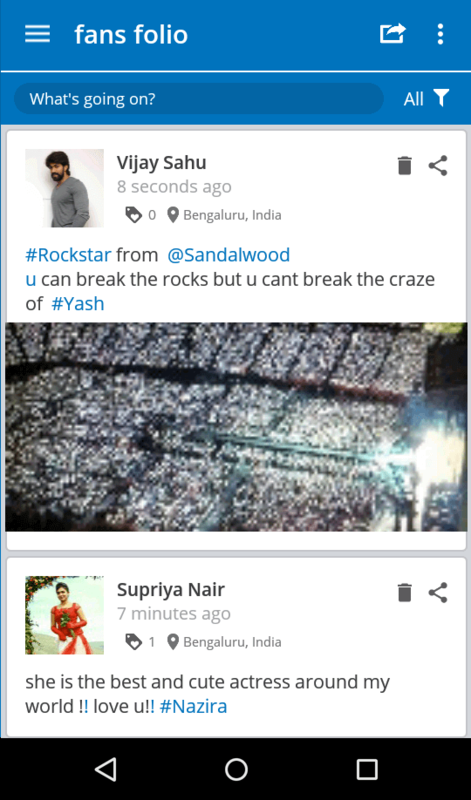 You can interact with other fans through personal messages. 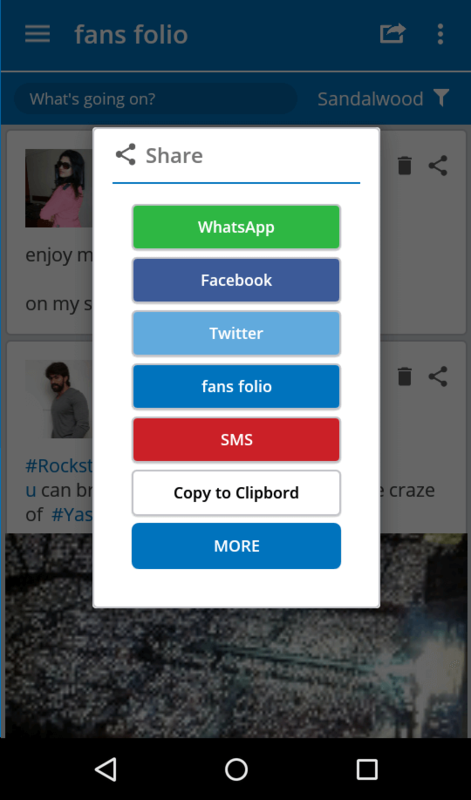 "Wonderful and Innovative design and concept. 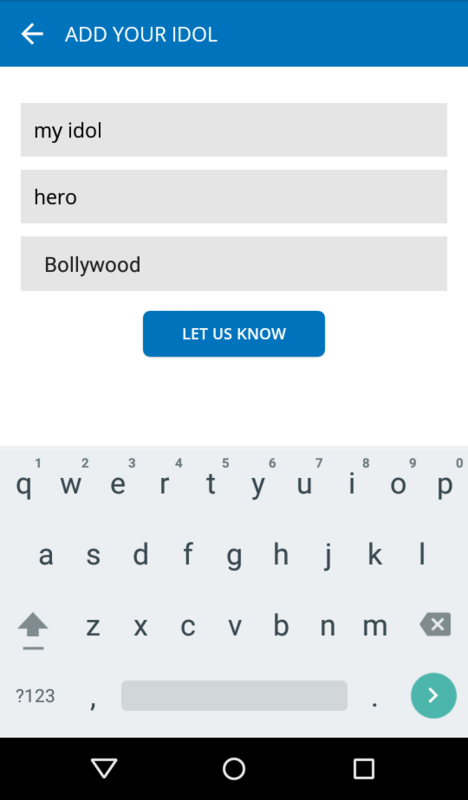 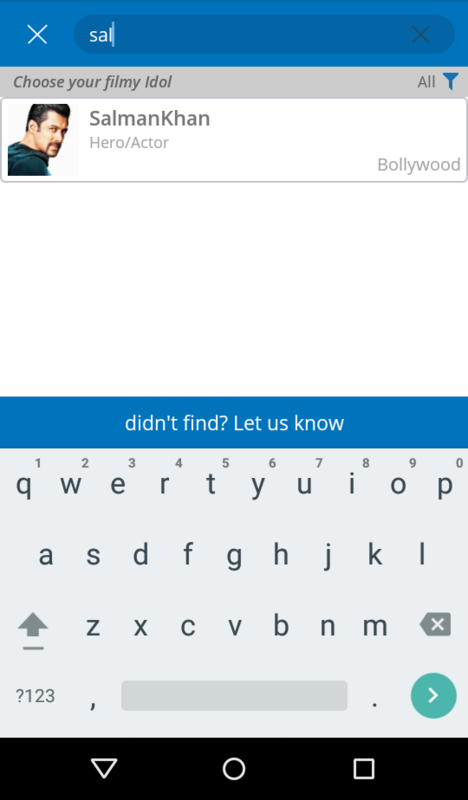 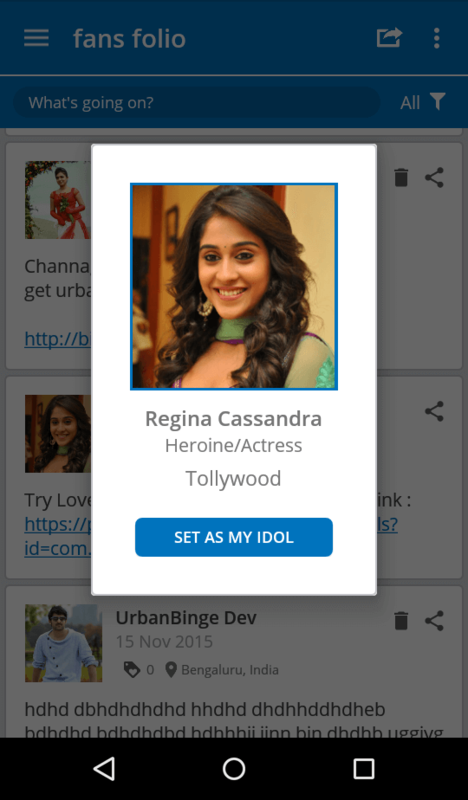 I like to use this app Now I can promote my star easily through this platform"
"Buetiful platform to create history and trend about my star"
"Best place for movie lovers! 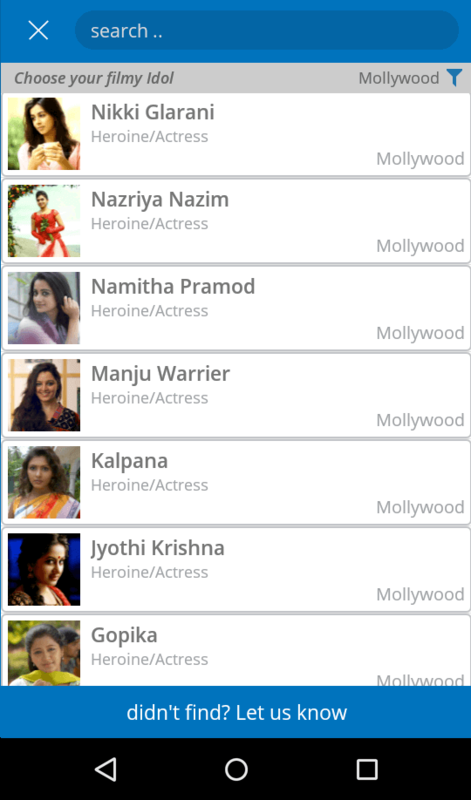 Hope soon all other celebraties added to my folio"
© 2018 Copyrights by fans folio - All rights reserved.